A hardware store is a place of possibilities. In a good one, anywhere you look you’ll find the beginnings of a new project or the final piece of a home improvement puzzle. You could spend an hour or a day in any one of these 10 shops in New Mexico. Be careful, you might just end up with more projects than you can finish! With 45 years of experience in the hardware business, these are the folks to see for home improvement projects. The staff is helpful and handy, providing advice without being patronizing. 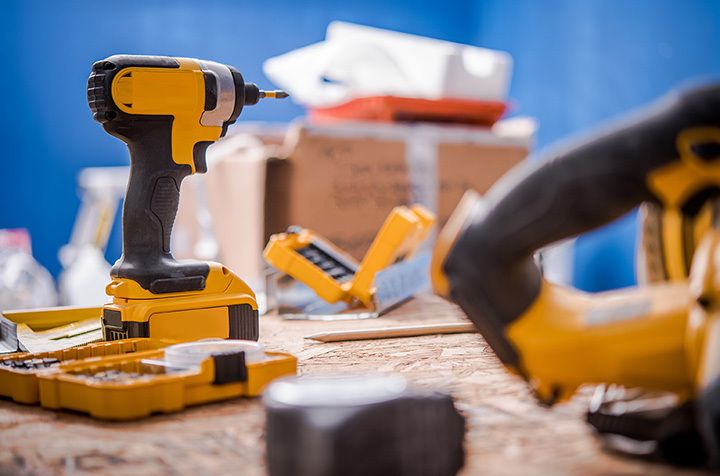 You’ll find a wide-ranging selection of building materials and supplies, plus the various nuts and bolts, paint, hammers and screw drivers and other paraphernalia needed to complete any project effectively. Independent hardware stores are hard to come by, but when you find one it’s quite often because they’ve been family run for decades. This is one such store. What began as a simple hardware shop in 1946 has grown into a regional store that, mixed in with all the typical nuts and bolts, now also provides industrial and welding supplies to the Four Corners region and can service and repair small engines and welding machines. You’ll also find top quality Durango Gloves for a wide-range of uses and a large selection of industrial hand and eye protection. Three generations of this family-owned and operated store have helped to make it the place to go in town when something needs fixing in-and-around your home. For almost 100 years, their maxim has been that they have “everything to build anything.” And if they don’t have what you need on-site, they know where to find it and will special order if for you. Wander around their big yard and you’ll find the inspiration and the guidance to finish any project. If you need to find the right tool for the right job, this is the place to head. The family who opened this store in the 1960s has been helping residents fix their “leaks, breaks, cracks and drips” now for more than 50 years. This is the go-to place for home, business or income property maintenance repair needs whether you need a faucet or an electrical box or a drill big or box of nails. Friendly and knowledgeable staff help to make the experience successful. If you’re driving down Route 66 and you see a larger-than-life cowboy waving from the side of a building, stop and wander the aisles of this ranch supply store. It has a little bit of everything—gates, fencing, feed, trailer parts, hinges and hardware, shovels and plumbing supplies, as well as clothing, jewelry, antiques and collectibles. You can even get a brisket sandwich and a fresh homemade donut. It’s been part of the business community for more than 25 years and still owned and operated by the same proprietors with the same commitment to customer satisfaction. This store’s name captures its business spirit: a small-town store that has a huge impact on the community. It’s the quintessential hardware store with power tools, screws, nuts, bolts, hammers and nails, plumbing and electrical supplies and the odds and ends you need to fix things around a house, office building or business. If you’re past the age of 50, it might remind you of a shop you might have gone to with your mom or dad on a Saturday or Sunday afternoon as a kid. Here’s what’s great about this shop. The motto: We’ll be here tomorrow to back up what we sell today. Part of the community for more than 75 years, with the current owners in place for 35 of those years, this place has longevity and can back up that statement. Plus, it has bucket loads of merchandise that runs the gamut from hardware to building materials to plumbing and electrical supplies, to paint, housewares, animal feed, tools, fishing and camping gear and garden supplies. Great deals. Great people. Great service. A commitment to these three principles of a successful business have kept the doors open here for a quarter of a century. Whether you’re a commercial contractor or a homeowner working on a DIY project, you’ll find the right tools and supplies at this local business of the year. Weekly deals follow the seasons and range from garden needs to home repairs to remodeling supplies to tools for any trade. This is a farm store that doubles as a hardware store for this town of about 7,000 residents. It was established in 1946 and continues to supply farm, ranch and building supplies to the local community. Come here predominately for lumber, fencing, farm equipment and building materials, but there’s also various and sundry hardware. This is an old-fashioned hardware son run by a father and son team who believe customer service is their top priority. The store is clean and organized. The fully-stocked shelves are easy to navigate and chockfull of bins of nails, drawers of categorized screws, hinges, light bulbs tools and the quirky novelties that make wandering the aisles of this type of old-time store so enjoyable. It’s also a local pick-up spot for U-Haul trucks and trailers, as well as moving supplies.